If you are celebrating World Environment Day on 5 June, or are doing a topic on the environment, then Brenda Williams’ original poems are a great resource to use in the classroom to spur on ideas and imaginations. 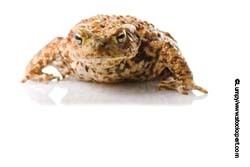 ‘I am Water’ and ‘Wanted: Home for a toad’ are both available as activity sheets (members only). There are a couple of activity ideas below to get you started. 1. Read the poem ‘I am Water’ with your class. Look especially at the poem’s alliteration, movement, as well as considering the natural recycling of water. Think about how description and structure add to the way the words flow like water down the page. Invite the children to try and capture the water’s journey in an art display. What materials or mediums will they use to bring the poem to life? The children could make mini art displays, or you could create a large wall display in the classroom. 2. Use a selection of non-rhyming and rhyming poems for children to model different styles and forms of poetry using the world’s environment as a source of inspiration.